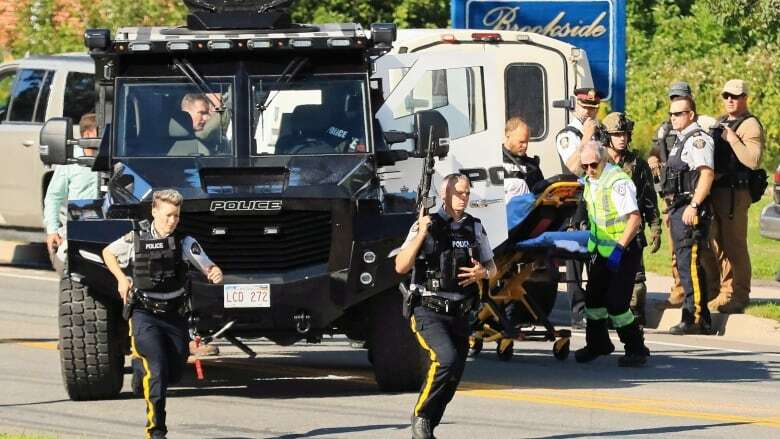 A New Brunswick Court of Queen's Bench judge has issued an order, prohibiting the publication or broadcast of previously reported details about the Fredericton shooting that claimed the lives of two city police officers and two civilians last Friday. 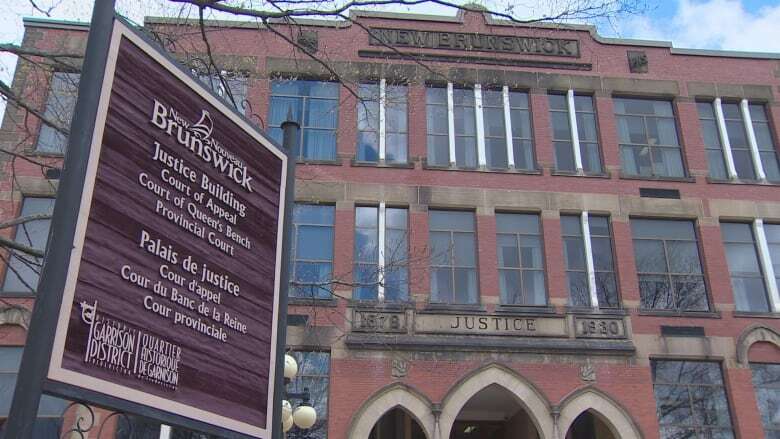 The information came from legally obtained documents filed in Fredericton provincial court. CBC News plans to challenge the retroactive order, imposed late Monday afternoon by Justice Judy Clendening. In the meantime, the media cannot "publish, broadcast, re-broadcast, transmit, re-transmit, or disseminate" any of the information already in the public domain, according to the order. It also requires media outlets to remove from publication any of the information from the court document that had already been published. The order remains in effect "until the termination of criminal proceedings" related to the case, which could take months, possibly years. 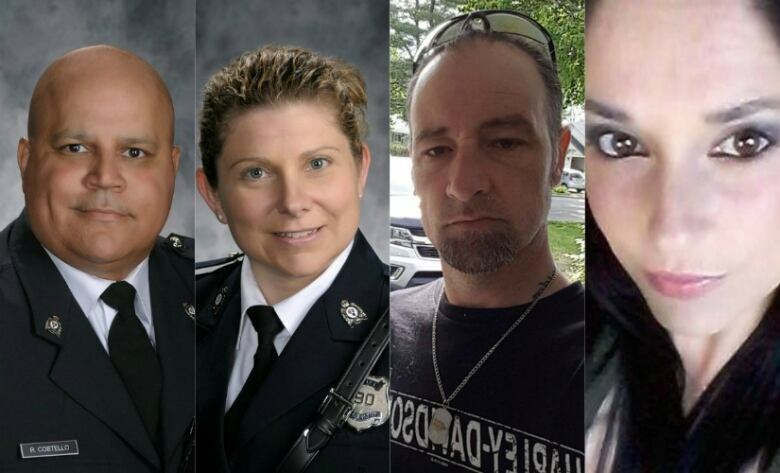 Victims of Friday's shooting from left to right: Const. Robb Costello, 45 and Const. Sara Burns, 43, Donnie Robichaud, 42, and Bobbie Lee Wright, 32. The accused gunman, Matthew Vincent Raymond, 48, is charged with four counts of first-degree murder in connection with the deaths of Const. Robb Costello, 45, Const. Sara Burns, 43, and civilians Donnie Robichaud, 42, and Bobbie Lee Wright, 32. Costello and Burns were killed while responding to reports of gunfire at an apartment complex on the 200 block of Brookside Drive at 7:10 a.m. AT on Friday. They were the first on the scene and were gunned down as they approached two civilians who were lying on the ground. Robichaud and Wright, who had recently become a couple, also died Friday. Raymond is scheduled to appear in court on Aug. 27. He remains in custody.